It looks like Chicago Fire will have enough episodes for syndication next year. NBC has renewed the Tuesday night drama series for a fourth season. If the network orders a full season (as expected), the series will have at least 91 installments — enough for a syndication package. Chicago Fire follows the lives and work of the firefighters, rescue squad, and paramedics of Chicago Firehouse 51. The cast includes Jesse Spencer, Taylor Kinney, Charlie Barnett, Monica Raymund, Lauren German, Eamonn Walker, David Eigenberg, Joe Minso, Yuri Sardarov, and Christian Stolte. Currently in its third season, Chicago Fire is averaging a 1.9 rating in the 18-49 demographic with 7.55 million viewers. That’s about on-par with the show’s ratings from last season. It’s currently NBC’s second-highest rated drama in the demo and fourth in total viewers. What do you think? 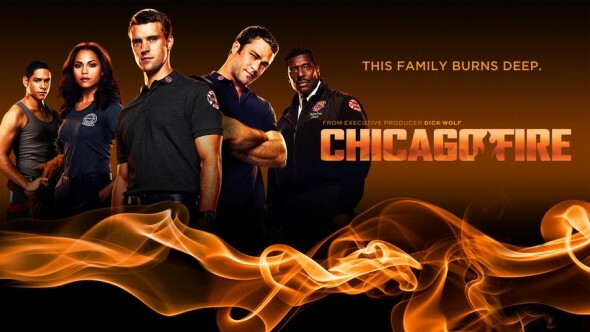 Do you like the Chicago Fire series? Are you glad to hear that it’s been renewed for a fourth year? Made my weekend and my year. This is the only show on TV that I actually look forward to with much anticipation and can’t wait for Tuesday’s to get here. Sure hope to enjoy the show for at least another 5 seasons. As a lifelong Chicagoan, love Chicago fire. Oops. I misread the date. I am so glad to find out that NBC is giving Chicago Fire an additional seaon. It is an excellent show that not only shines light on the important job our firefighters do everyday but showcases many truly golden characteristics such as honesty, sincerity, being a team player, and having a good work ethic. Please don’t cancel Chicago Fire. It is a quality program with a good and varied cast of charters. I like the way it presents botn their work life and personel life. It blends well with Chicago PD. If ratings are an issue, don’t put up against long standing hit programs. It has potential be another NCIS longevity series. Love it and yes, I am glad its back. NBC, get a grip and let it last this time. It’s about time they returned this show. I cannot believe they waited this long to do it, whatever the reasons are none seem as important as having something worthwhile watching on TV. Too much news! Entirely too much football! If I wanted to watch football 24/7, I buy a ticket. Remember there are others in the TV audience who matter.